CHARLESTON, SC (WCSC) - Children are invited to live, laugh and learn at one of Charleston's top events for kids and families. 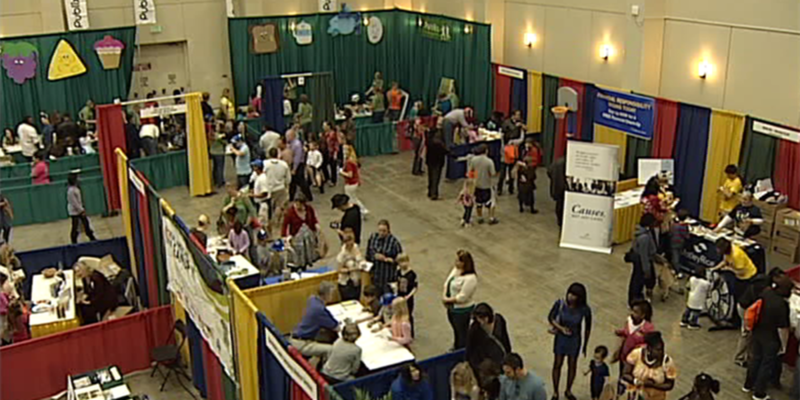 The 29th annual KidsFair is Sunday at the Gaillard Center. The event features more than 100 hands-on activities and exhibits to educate and entertain. It also includes stages with entertainment during the day. The Jewish Community Center Without Walls and the city of Charleston partner together to present KidsFair each year. The event raises money to support students, scholarships and children's organizations in the community. The festival has grown during its 29 years and organizers expect 10,000 children and parents to attend. KidsFair is open 11 a.m. through 5 p.m. Admission is free for all children younger than 18 and $5 cash only for adults with a child. Adults will not be admitted without a child. For more information, click here.